Champagne Going Down...: "Honk if Pluto is still a planet"
We no longer live on a planet. "...it is impossible and contrived to put a dividing line between dwarf planets and planets... One of the three criteria for planethood states that a planet must have "cleared the neighbourhood around its orbit". The largest objects in the Solar System will either aggregate material in their path or fling it out of the way with a gravitational swipe. 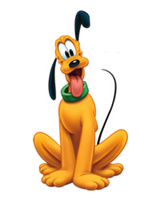 Pluto was disqualified because its highly elliptical orbit overlaps with that of Neptune. But Dr Stern pointed out that Earth, Mars, Jupiter and Neptune have also not fully cleared their orbital zones. Earth orbits with 10,000 near-Earth asteroids." Aparently "Eight (planets) is enough"
And in other news, "The UK population has broken through the 60 million barrier for the first time in history"
I think it's rather silly to "demote" Pluto, but I do agree with Dr. Stern. So, Earth is no longer a planet. Cool! Things are just going back to the way the original protesters in the 1930's wanted them to be.